【Event Report】NCCJ Club Evening - Pub Night @ What the Dickens! This time we took our NCCJ Club Evening gathering to Ebisu, where we meet up with NCCJ members and friends at the authentic British Pub “What the Dickens!” in Ebisu. Our third Club Evening of the year took place on March 20th at Fuglen Asakusa. The cafe had kindly prepared a special assortment of cocktails for the event, including their aquavit and umeshu-based cocktail called “Viking Samurai” that our ED Anette helped coin prior to the NJS-NCCJ Julefest Christmas Party last December. With 16 participants from among others e-commerce, IT, consulting, medical equipment, seafood and the designer industry we could enjoy an interesting evening with lively talks in the at-home atmosphere at Fuglen. A big thanks to Keiya-san and the rest of the Fuglen team for all the help with the event! 【Event Report】NCCJ Club Evening - Taco Tuesday @ ØL by Oslo Brewing Co.
Taco Tuesday @ ØL by Oslo Brewing Co.
On Tuesday 19th May we hosted our second Club Evening of the year with a Taco Tuesday at ØL by Oslo Brewing Co., one of our corporate members. ØL Tokyo specializes in Norwegian craft beer, and we all got to try their best recommendation of the evening; the Norwegian Blonde Ale. 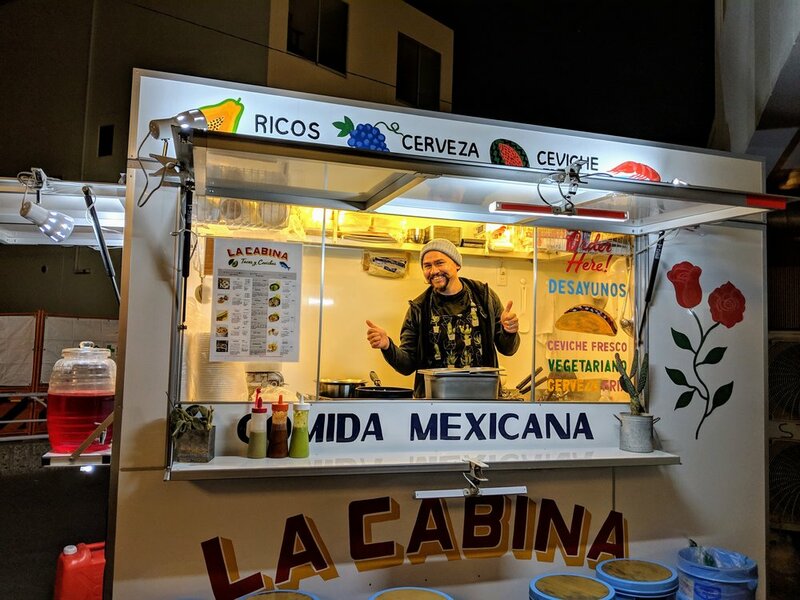 Tacos from the Taco truck “La Cabina” was also on the menu. Together we enjoyed a pleasant evening, and with participants representing a range of different companies the event provided an excellent opportunity to meet people from other backgrounds. This month’s event had among others participants coming from e-commerce, consulting, medical equipment, energy research, seafood and the travel industry. Tagged: NCCJ Club Evening, Oslo Brewing Co. 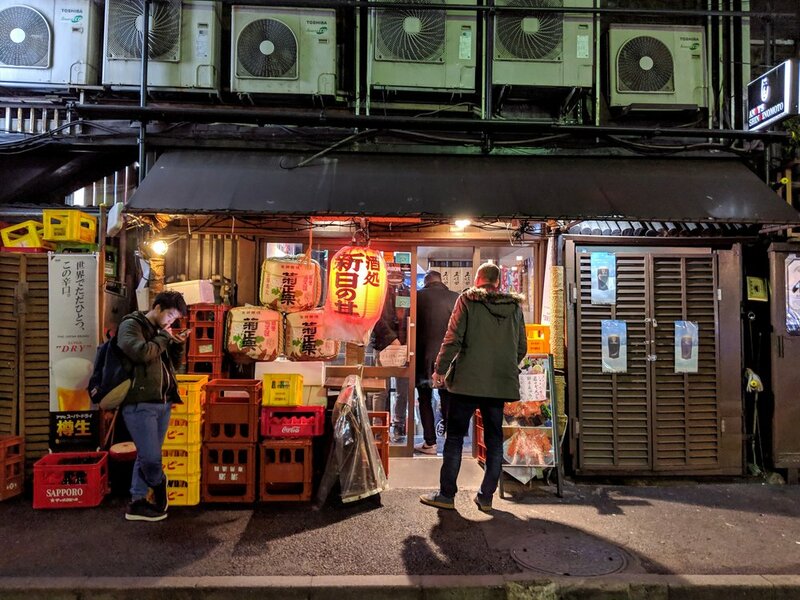 This week we hosted our first NCCJ Club Evening of the year with an informal gathering at Andy's Shin-hinomoto, or “Andy’s“. Their menu consisted of fresh seafood, meat, and vegetarian dishes, and the atmosphere at the venue was perfect for the occasion. We’d like to thank those of you who had the chance to join us this time, and hope to see you all at our next event!